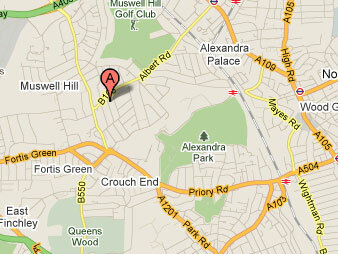 We are situated in the vibrant Muswell Hill area of north London which is one of the hills overlooking central London. On top of the hill is Alexandra Palace from where the BBC started the world's first public television service in 1936. Muswell Hill is a pleasant and green part of London and our Edwardian house is a few minutes' walk from the Broadway with its many restaurants and bars. Our nearest tube stations are Highgate on the Northern line and Bounds Green on the Piccadilly line which has direct trains to and from Heathrow Airport. We're also on the right side of London for Luton and Stansted airports. We can arrange pickups from all London airports with trustworthy drivers. We can also collect you personally from local tube stations when you arrive. 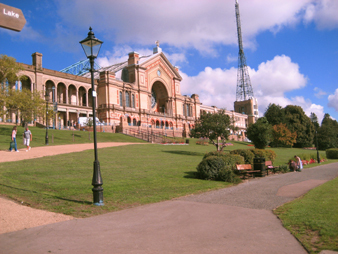 Set in seven acres of parkland and opened in 1873, Alexandra Palace and Park is worth visiting just for the view across the city of London. There are cafés, a boating lake, a nature reserve and wildlife enclosures, mini-golf and a state-of-the-art ice rink. It's a lovely open space and well worth a visit. It is also a major exhibition centre and hosts many conferences and fairs. Originally part of the ancient Forest of Middlesex and home to over 70 species of birds, this beautiful woodland is also the site of pottery works where excavations have revealed artifacts of the Romano-Britons dating back to AD 50-100. It is a rare example of English woodland where native trees flourish. At the centre of the woods is the playing field, a brilliant children's playground and the Oshibasho Café where you can enjoy an excellent lunch followed by a bit of spectator sport - watching a game of cricket in the summer months. A little further from Highgate Woods is Highgate Cemetery. It's a fascinating place to visit - visually amazing. Famously the last resting place of Karl Marx and many other people of note including Michael Faraday and Sir Ralph Richardson. 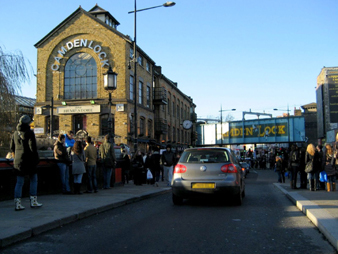 Also nearby is Camden Lock, site of the famous, huge and fabulous Camden Market. It's very easy to spend a whole day wandering around the different stalls, which sell everything you can think of, plus food stalls and restaurants from all over the world. You can also pick up a canal boat for a different view of London. A short walk from Camden is the world-famous London Zoo. 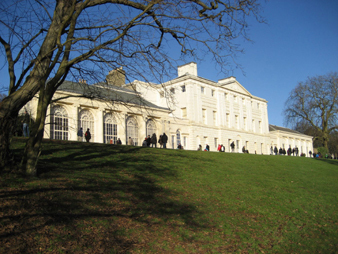 If you like open spaces and stately homes you'll enjoy a trip to Hampstead and Kenwood House. It's a vast area of heath land and boasts several lakes including a ladies' swimming lake and one for the gentlemen. The highest point of the heath is Parliament Hill - a great spot for kite-flying and breathtaking views across London. At the heart of Hampstead Heath is the beautiful stately home Kenwood House, which houses a wonderful art collection including paintings by Rembrandt, Vermeer and other old masters. If you are in the area, Hampstead village is a really interesting and upmarket place to visit - lots of trendy shops and restaurants and narrow, winding streets. So you can see, if there are days when you don't fancy travelling into the centre of London, there are still lots of things to see and places to visit close at hand!